How you feel about the Viewsonic PJD5523w depends largely on the expectations you bring to it, so lets start by making sure you don't expect too much. ViewSonic's Web site overpromises when it says the projector is "perfect for use in corporate, education and home theater environments." That's asking a lot for a single projector, and if that's what you're expecting, you're bound to be disappointed. Tamp down your expectations, though, and you'll find plenty to like. The PJD5523w's primary strengths are for business and education, where it can be an excellent fit at a more than reasonable $599. But don't expect as much from it as a home theater projector. It's Really a Portable Data Projector. 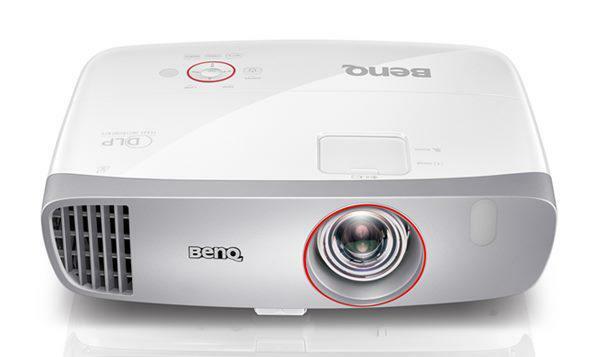 Business and education projectors need good data image quality and a bright image. Home theater projectors need good video image quality and a far lower level of brightness for comfortable viewing in a theater dark room. What the PJD5523w handles well is data images. In addition, it's light enough, at 5.7 pounds to take with you on business trips or move around by hand in a classroom or office. That adds up to making it a portable data projector. Small touches like zoom and focus rings that give sure control help make setup quick and easy. And the monitor out port is helpful for classroom use. Video image quality is acceptable for short clips, but not even in the ballpark of being good enough for home theater. Note too that the native 1280x800 resolution is a standard computer resolution, and well short of the 1080p you'd want for home theater. This isn't to say that the PJD5523w doesn't offer some features that you'd expect for a home theater. It includes an HDMI port, it can accept 1080p input, and it's 3D ready for PC sources. However, it's built around a single-chip DLP engine, which makes it subject to rainbow artifacts (flashes of red-green-blue when light areas move on screen), which can be annoying to those who see the rainbows easily. And as with most DLP data projectors, the rainbows tend to show up far more often in video than in data images. One other issue is that even with its least bright settings, the PJD5523w can be uncomfortably bright for theater dark lighting in home theater setups. However that same quality of high brightness, which ViewSonic rates at 2700 lumens and we measured at roughly 2300 lumens, is part of what makes it a good choice for business and education, where you'll generally want to leave the lights on.